City Developments Ltd, the Singapore-listed developer which owns the Millennium & Copthorne hotel chain, moved to internationalise its operations on Friday with the appointment of Apollo Global Management real estate head Grant Kelley as its new chief executive. Kelley has been managing private-equity real estate investments in Asia since 2002, most recently with Apollo, and earlier with Holdfast Capital and Colony Capital Asia. The Singapore-lised firm also promoted managing director Kwek Leng Joo to the position of deputy chairman as part of the same announcement. In a report published in the South China Morning Post, City Developments’ chairman, Kwek Leng Beng, cited the need to broaden the company’s horizons as a major driver in Kelley’s hiring. Kelley still should already be familiar with City’s home market, however, as the financier is already a director of the island-state’s Sentosa Development Corporation. In addition to the Millennium & Copthorne Hotel chain, which City acquired in 1995, the developer is already active in 27 countries, including China where it operates a wholly-owned subsidiary, CDL China Limited. 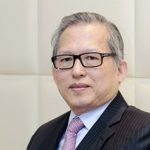 Although a publicly-listed company, City Developments has had a distinctive family-flavour with the new deputy chair being a brother of chairman Kwek Leng Beng, additional Kwek siblings on the board, and CDL China being presided over by the chairman’s son, Eik Tse Kwek. As one of Singapore’s biggest landlords, the 51-year old firm owns over 724,000 square metres (7.8 million square feet) of lettable office, industrial, retail, residential and hotel space. Kwek Leng Beng and family were ranked as the second-wealthiest household in Singapore on the most recent Forbes survey of the city’s richest people, with an estimated fortune of US$7.1 billion as of August 2013.